Morgan O’Bryan, studying for the priesthood at St. Francis Seminary, comes under the tutelage of Father Christopher. Father Christopher suspects that Morgan might possess the gift of healing, and he wants to introduce Morgan to the knowledge of and access to God’s miracles. However, Father Christopher suffers from WWI battle fatigue, and many at the seminary think the old priest is just crazy. 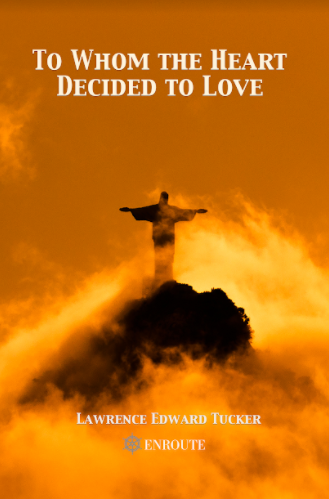 Morgan nevertheless accepts Father Christopher’s friendship, but he discovers that the challenge of learning to share in Divine wisdom and miraculous experiences is no easy path, for along this journey he will come to know love, betrayal, even death. Will he endure? Listen to “WCAT Radio Interview by Joe Avalos of Thom Brucie, author of Children of Slate” on Spreaker. 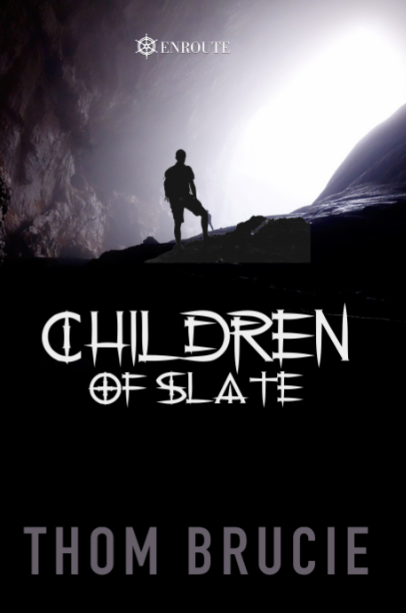 Children of Slate is Thom Brucie’s surprising exploration of God’s great joy in bringing miracles to this earthly journey we call life. His other works include the novel Weapons of Cain, a Vietnam War tale of cultural discovery; a book of short stories, Still Waters: Five Stories, themed stories around the topic of death; and two chapbooks of poems, Moments Around The Campfire With A Vietnam Vet, poems of veteran’s experiences, and Apprentice Lessons, poems celebrating Brucie’s carpentry apprenticeship and some lessons learned. 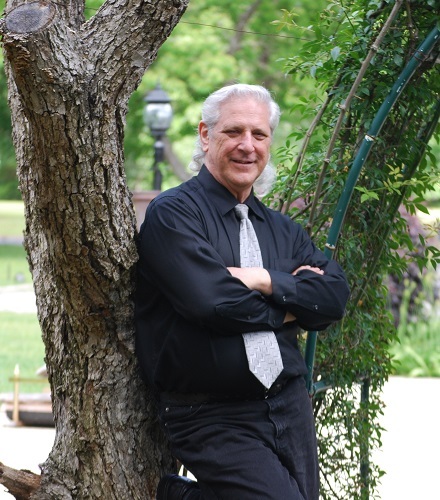 Dr. Brucie earned his PhD from Binghamton University and MA from the University of Louisiana at Lafayette. Brucie is Professor of English at South Georgia State College where he teaches English and Creative Writing. Find out more about Thom Brucie on his website at ThomBrucie.com. 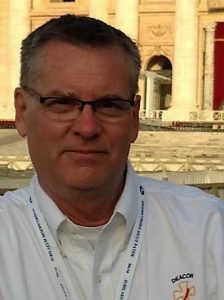 Martin Chervin, Ronda’s husband, became a Catholic at the age of sixty, after decades of struggling with doubt. His way of resolving his doubt was to ponder the battle between Satan and Christ during the forty days in the desert for the prize of the human soul. Is it worth the gamble for the children of the breath to reject Satan and all the worldly goods he promises to follow the Lamb of God? Readers are challenged to make their own decision. For orders of 10 or more, contact the publisher at contactus@enroutebooksandmedia.com for a 50% discount and free shipping. 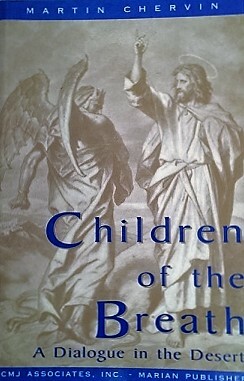 Martin Chervin, author of Children of the Breath, and two plays: Born/Unborn and Myself: Alma Mahler, was born in 1918 on the Lower East Side of New York City to a Polish Jewish family. His fascination with Jesus began as a boy reading a New Testament he found in the public library. Later as a sea man and then as an international bookseller, Martin pondered the claim of the Jewish prophet to be the Son of God and the Saviour of all mankind. 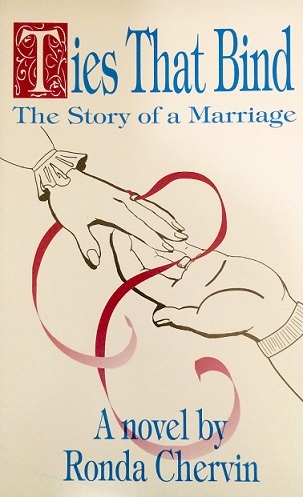 At forty-three, Martin married Ronda, a zealous Hebrew-Catholic philosopher. Fathering Carla, Diana and Charles, raised as Catholics, intensified his interest in the figure of Christ. Ronda Chervin has a Ph.D. in philosophy from Fordham University and an M.A. in Religious Studies from Notre Dame Apostolic Institute. She is a convert to the Catholic faith from a Jewish but atheistic background. 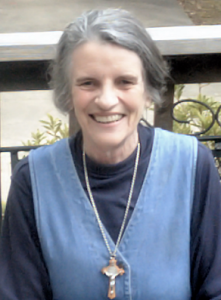 She has been a professor at Loyola Marymount University, St. John’s Seminary of the Los Angeles Archdiocese, Franciscan University of Steubenville, Our Lady of Corpus Christi, and presently teaches at Holy Apostles College and Seminary in Connecticut. More than fifty books of hers have been published by Catholic presses in the area of philosophy and spirituality. Dr. Ronda presents on EWTN and Catholic radio. Her many books include Quotable Saints, Seeking Christ in the Crosses & Joys of Aging, Catholic Realism and Voyage to Insight. This is her first novel. In this way begins the rollicking fictionalized autobiography of 3 generations of sisters living in the USA but of Russian-Jewish ancestry. An enmeshment of drama-queens, a psychologist might describe it. A story of redemption, a theologian might describe it. How will you, my reader, describe it? 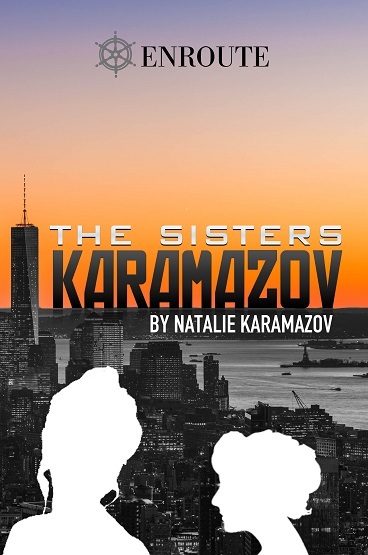 Natalie Karamazov is from a Russian-Jewish family living in the United States. This is her first novel. Reporting Catholic news as it happens, when it happens, and before it happens, Eye of the Tiber has been delighting readers online since 2012. Now, it provides a book that can be thrown! The only news source brave enough to report stories like Pope Francis’ midnight shift position at McDonalds, or Lila Rose going undercover as a fetus, Eye of the Tiber is the hilarious Catholic satire site that leaves no issue untouchable, ‘breaking Catholic news so you don’t have to’. 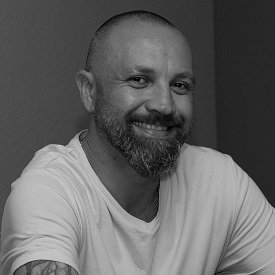 S.C. Naoum created EOTT in 2011 and has gained a loyal and confident following of many different Catholic personalities. 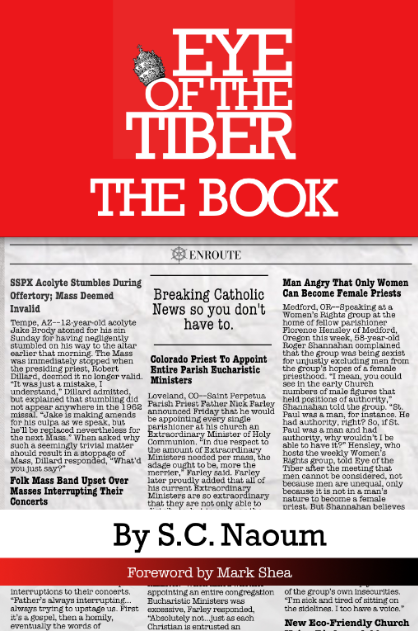 In his debut title, Eye of the Tiber: The Book, S.C. brings readers a collection of lesser known Catholic headlines including over 60 new stories and many of his favorites from the past. S.C. Naoum is the founder and Chief Executive Oligarch of Eye of the Tiber. He invented satire at the age of five while solving a rubik’s cube blindfolded, and is the first Catholic in history to be canonized and made Doctor of the Church while still alive. He is a legendary Thomist who is be able out-Thomas Thomas himself. He has been known to out-meditate a Trappist, out-teach a Dominican, out-Catholic the Pope, out-pious Pius’ one through twelve put together with his hands tied behind his back. He is currently drinking whiskey. First century Christianity and present-day musical aspirations meet in the story of a miracle table built by the grandfather of Jesus Christ. The table is placed in the hands of a Centurion named Cornelius following the death of the Messiah. Given the title of table bearer and a mission, Cornelius begins a history of bringing peace to those who encounter the table, a mission that will be sustained for over two thousand years. In the later years of that mission, the table and its current bearer, an autistic young man named Anthony, encounter Michael Fortunato. At the very moment of his breakthrough in the music industry, Michael loses the only thing that really mattered to him, his wife Debbie. The loss sends Michael into the center of darkness which he seemingly can’t escape. That is until he meets Anthony, a table, and a story that is over two thousand years old. The Table Media Kit – Download to engage the author concerning his book. Listen to “Dcn. 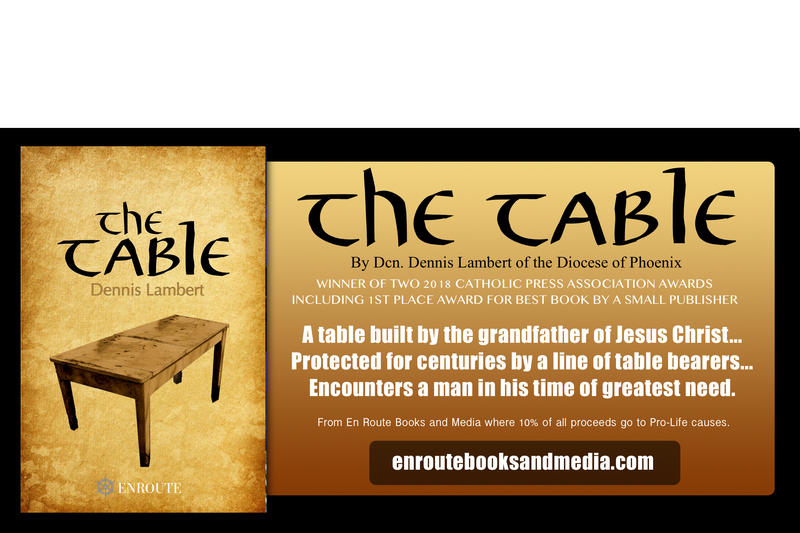 Dennis Lambert of the Diocese of Phoenix and author of The Table” on Spreaker. 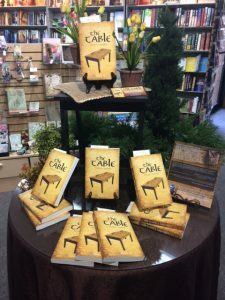 “A fascinating Christian legend with a matching contemporary drama, The Table will capture your heart and inspire your soul.” – Ronda Chervin, Ph.D., Professor of Philosophy and Catholic Writer. 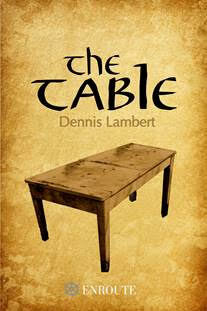 “Deacon Dennis Lambert’s The Table deftly and delightfully interweaves ancient and modern tales that uplift, edify, and entertain. Grab a cup of coffee, pick it up from your table, and prepare to be enthralled.” – Kevin Vost, Psy.D., author of books including Memorize the Mass!